i try to solve this problem for a few days now. 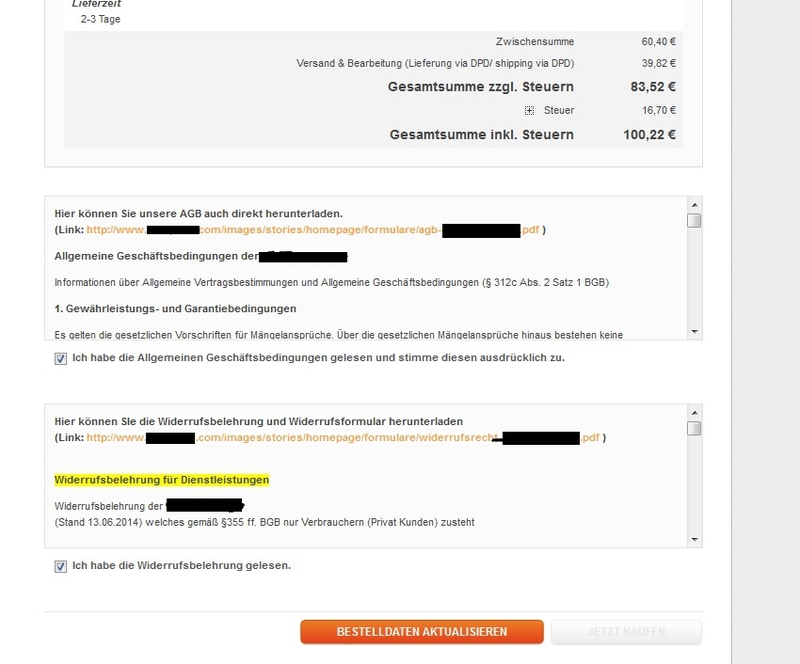 My Problem is, that customers could not be complete the order, because after the PayPal Login they return back to the Order overview and cannot be click on the "Jetzt bezahlen(Pay now)" Button. They checked the 2 Checkboxes and the Button is always disabled. I have no idea why. Before i update to 1.9.1.0 i used a 1.7x Version and there was everything right. Here is a Screenshot of this Problem. I had the same issue today with my customers. Calling paypal did not help. The solution for this moment is to deactivate the express checkout and "just" use the normal paypal paying method in the checkout. Reason: The customer may not forget to check the checkboxes. If so, the Paypal-Session is cancelled and the customer is not able to send his order again. That's the reason for the grey button. Because you can not explain this issue to the customer, deactivating is the only solution at the moment. You must check if your custom theme overrides the /paypal/express/-directory of the base/default theme. Magento has changed some code from 1.7 to 1.9, this is not a paypal issue. The problem is not that the paypal session is cancelled, but that the form on the review-page is "resetted" any time an action changes one of the order values, for example the shipping method or whether the customer agress with your ToS. My guessing is that the functionality is broken at the point where the button should be re-enabled. Not the answer you're looking for? Browse other questions tagged magento-1.9 payment paypal-express or ask your own question.